We've found The Ultimate Pork Chops. SO tender and juicy! TONS of great flavor! Seriously delicious!! 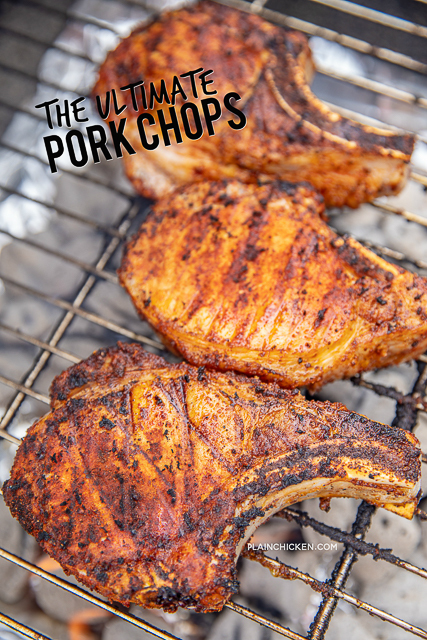 One of the best pork chops we've ever grilled. These Ultimate Pork Chops take a little planning. 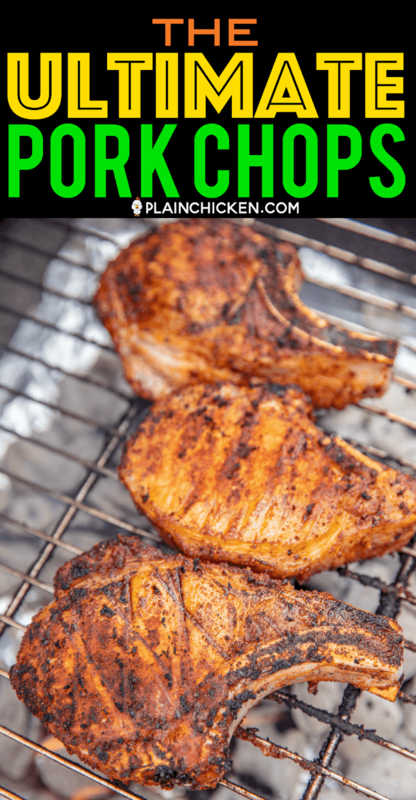 You need to brine the pork chops overnight before grilling. The brine is a mixture of water, salt and sugar. Brining the pork chops will make them super tender and juicy. We were able to cut these pork chops with our butter knives!! After brining the pork chops, just give them a rub with the spice mixture and grill. 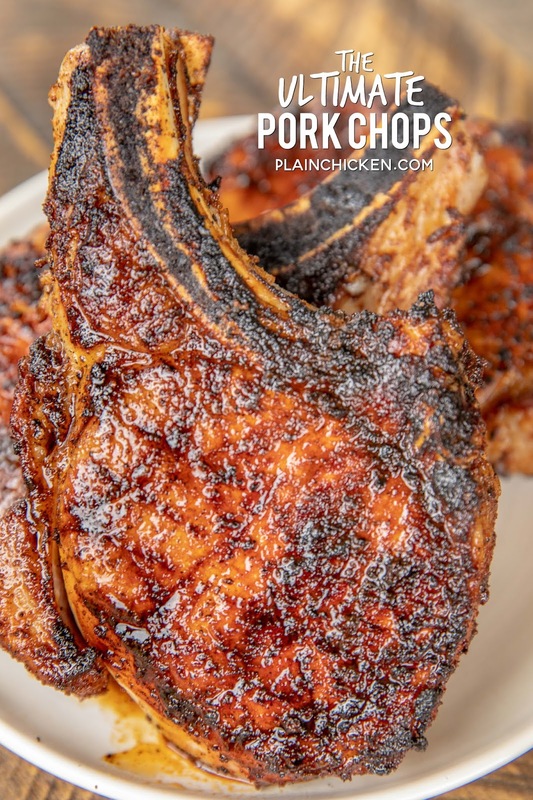 Pork chops are done when they reach an internal temperature of 145ºF. Just use a meat thermometer to check the chops for doneness. 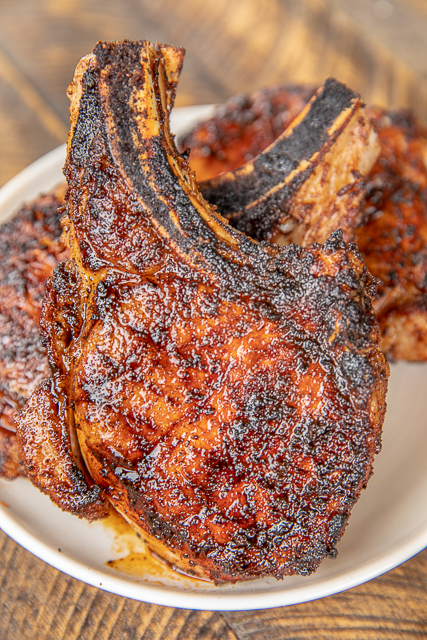 We used bone-in pork chops because that is what we prefer. 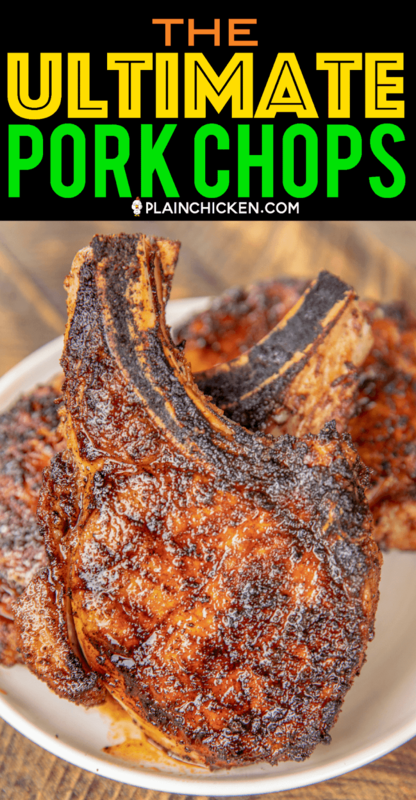 Feel free to use some thick boneless pork chops if you aren't a fan of bone-in chops. In a large pan, combine salt, sugar and water. Cook over medium heat until sugar and salt are dissolved. Remove from heat. Add ice to cool brine to room temperature. Place pork chops in a gallon sized resealable plastic bag; add cooled brine. Seal bag. Refrigerate 8 to 12 hours. Remove pork chops from brine. Rinse and pat dry. Combine ingredients for rub. Sprinkle on both sides of pork chops. 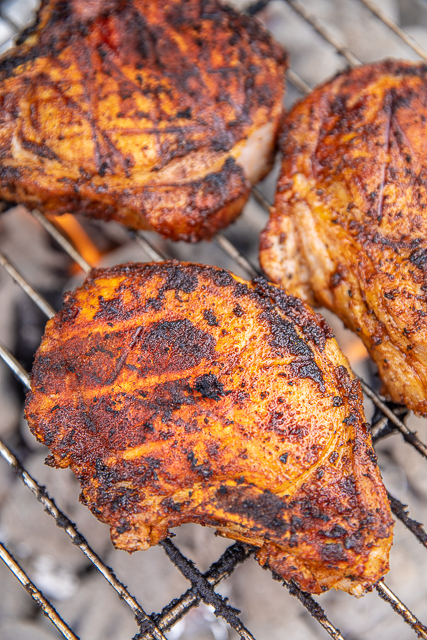 Prepare grill and cook pork chops until they reach an internal temperature of 145ºF. I heard lime juice is a good tenderizer!? 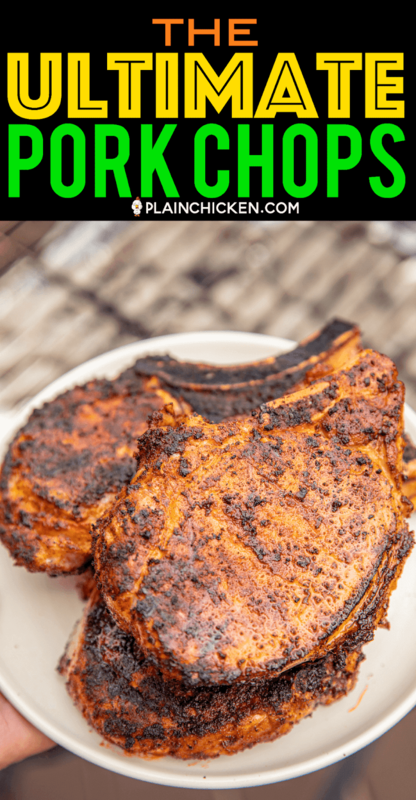 I already had pork chops out for tonight and when I saw your recipe I thought what the heck give it a try. 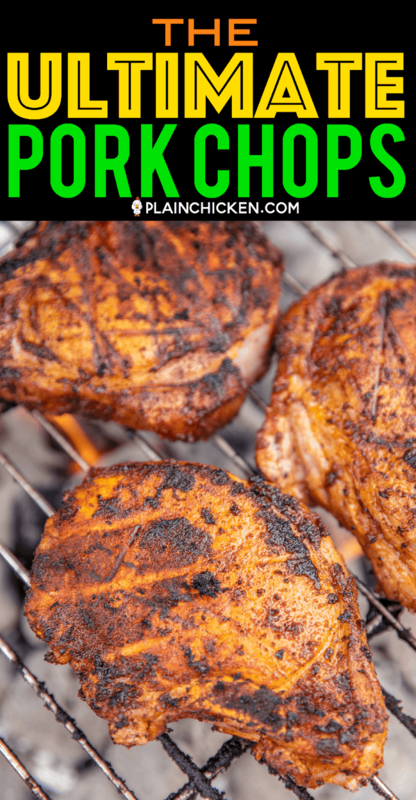 I am so glad I did...the first thing my husband said was, did you do something different to the pork chops? He is very picky so I thought oh no but he went on to say they were some of the most tender and best flavored pork chops he had ever eaten. I cut back some on paprika because I know that is a flavor he doesn’t really care for and I cooked them on the indoor grill. Fabulous - thanks for a great recipe. Lady damn maybe that will work for my man great chop story lol!!!!!!! How many minutes per side …. and as an alternate can they be cooked in the oven? I bought whatever was on sale. I didn't have time to marinate overnight but, still came out tender and delicious. Would definitely make again.